Over the years so many iconic characters have come from film, from the mass army of princesses Disney has brought to life, to the creepy monsters that haunt our dreams at night. But there’s no such thing as a perfect character. No matter who they are they could always use something to improve an aspect of themselves (sorry, James Bond, that even means you). Here are five popular characters whose lives probably could have been made a little easier if they’d worn a pair of chucks! 1. Frodo Baggins: A little hobbit given the task of going on a journey across Middle Earth in order to drop a ring made of pure evil into a fiery volcano guarded by demons, monsters, and a giant ,all knowing eye ball. Easy enough, right? Wrong. One does not simply walk into Mordor without a pair of chucks on. 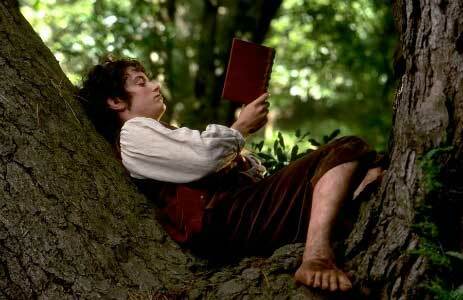 Even in a world of cave trolls and elves, it’s hard to believe that Frodo was able to walk across the entirety of Middle Earth through all its swamps and forests and mountains in just his bare feet. Granted, it’s hard to go on a trek that far with or without shoes, but things probably could have been sped up from a slow crawl to a brisk walk if someone had gotten Frodo some chucks. 2. The Wicked Witch of the East: Chances are you did a double take and thought “it’s the Wicked Witch of the West, not east!” You are correct in there being a very wicked witch from the west in The Wizard of Oz but for the first time, her sister is going to get some well-deserved spotlight time after getting a house dropped on her. Not to say that wearing a pair of ruby chucks would have saved her from being squashed by a farmhouse, but you could bet good money that being wicked would’ve been much easier in pair of chucks than ruby slippers—and don’t let the word “slippers” fool you. We’re talking heels. Small ones, but heels nonetheless. If that doesn’t sell you, then at least think of poor Dorothy who has to skip (in heels) along the yellow brick road (in heels) to that obnoxious song (in heels!). Chances are her Oz experience would’ve been much more enjoyable in chucks. The wicked witch of the east. 3. John McClane: Die Hard is one of the classic American action flicks with some of the best fights and witty one-liners the genre has to offer, and though many people think this movie is perfect as is, let’s take a moment of silence for John’s (played by Bruce Willis) feet in the aftermath of his walking through shards of glass. It’s okay if you’re too guilty to admit that you feel that he doesn’t need a pair of chucks because let’s face it, that scene was pure awesome. But chances are, John would take the chucks if he had the chance. 4. 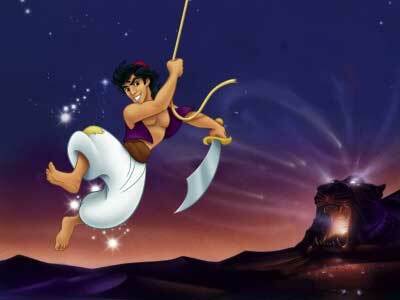 Aladdin: Though he may be a bit low on cash, Aladdin is the most charming thief around. After all, how else would you win the heart of a beautiful princess? But before Aladdin meets the Genie and gets a whole new, magical lifestyle, he’s got to move about the streets of Agrabah completely barefoot. That’s extra difficult when you’re constantly running away from enraged royal guards. This guy must have feet of steel because he runs over burning coals, pointy knives, and let’s not even think about how hot that ground must be in the desert sun. Not to mention the “cave of wonders” that he has to navigate. Sure precious gems and treasure are wonderful, but there is no way that’s comfortable to walk on. Chances are, there were some points where Aladdin would’ve traded in all of his three wishes for a pair of chucks. 5. Catwoman: One of Catwoman’s most unique traits is that she has never been clearly given a label of “good” or “evil”. She’s a tough, independent woman who does what’s good for herself and nobody else. Over the long years of the Batman franchise, she’s fought beside, and against our favorite caped crusader, all while wearing a skin tight latex suit and thigh high boots. In the world of superheroes this is a standard female costume, but that doesn’t change the fact that women everywhere wince a bit as they try to imagine bending and flipping in such restricting clothes. Especially for a character like Catwoman who doesn’t have any “powers” per se but relies specifically on being able to run and maneuver, latex can become quite the problem. That’s why she should pick up a pair of chucks. They’d be much easier to perform acrobatic fighting techniques in over boots, and she’d especially love the purrrrfect shade of black they come in. Nobody is perfect, not even in the movies and whether you’re a pint-sized hobbit or a crime fighting super-heroine, there’s always room for a pair of chucks to make your life a little better.